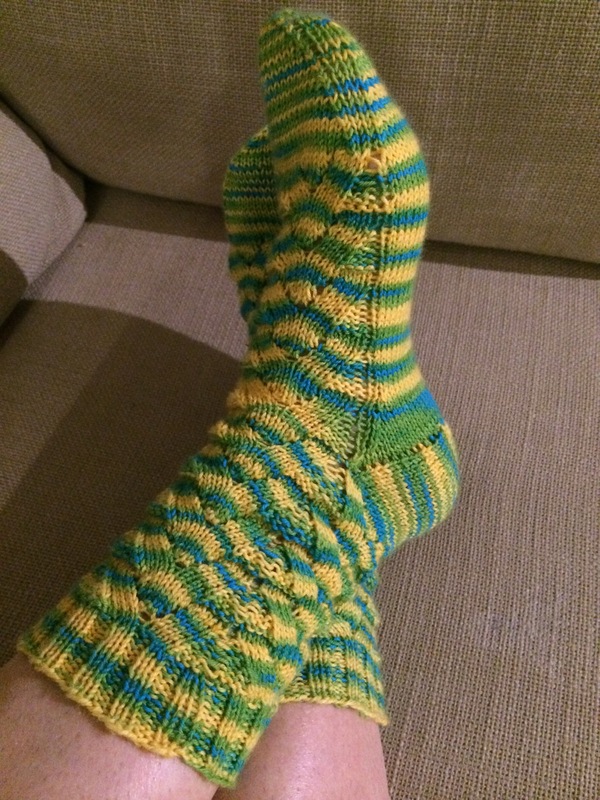 My Monkey socks are finished! They took way too long! 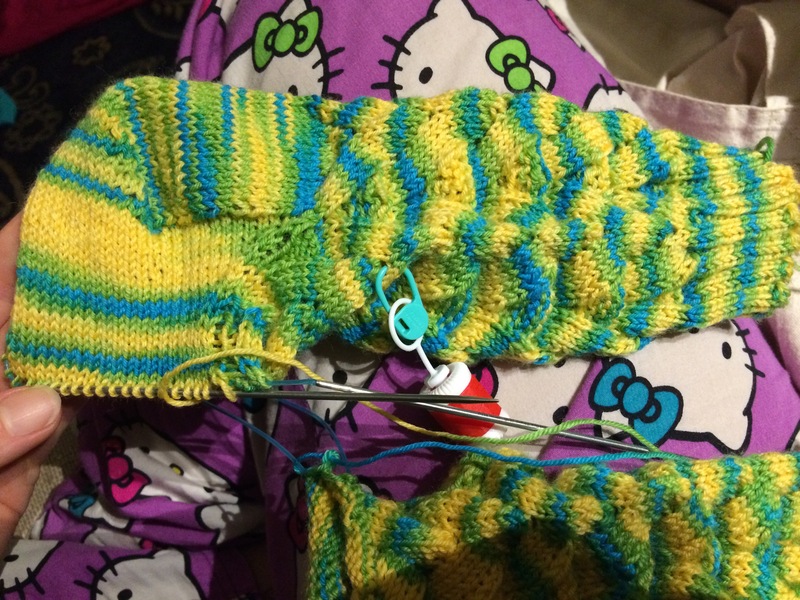 I do better when socks are KALs and therefore have deadlines! Having finished the socks, I finally had (my own) permission to start a secret project which will reach the recipient late, due to its late start!! 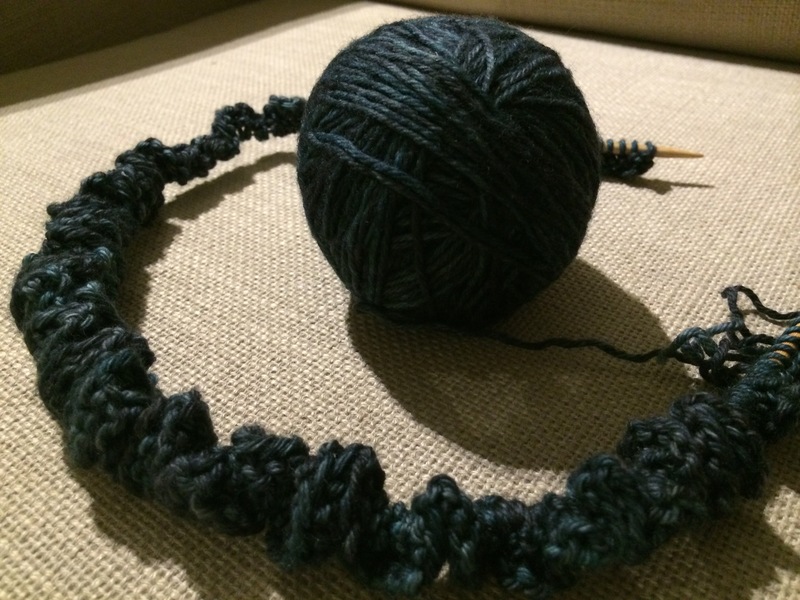 For the super secret project, I casted on 396 stitches. I hope. It took quite a while, and while I knitted the first few rows, I quickly realized that a 24 inch circular needle isn’t enough to accommodate these stitches. Time to upgrade! 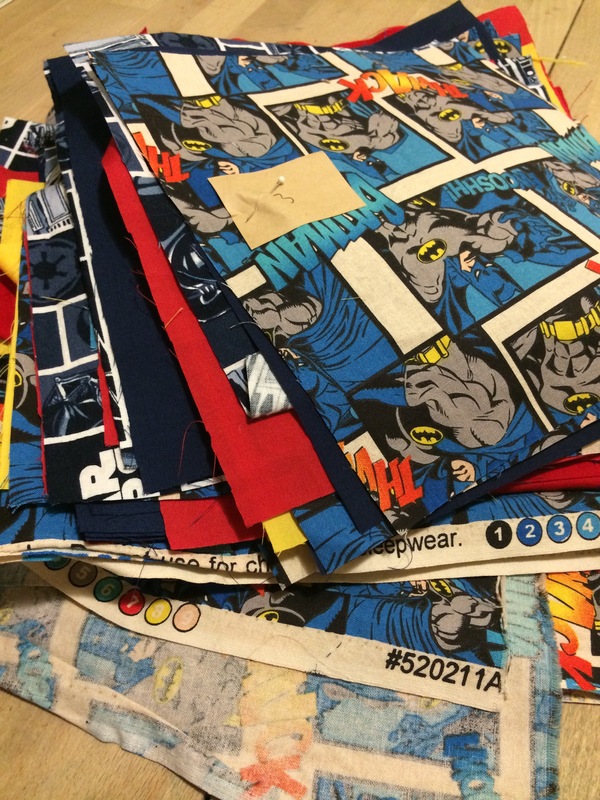 Today when I dropped off the quilt squares that I zigzagged for the Wee Boy’s school auction, I noticed that there were still several bags of squares to be done. 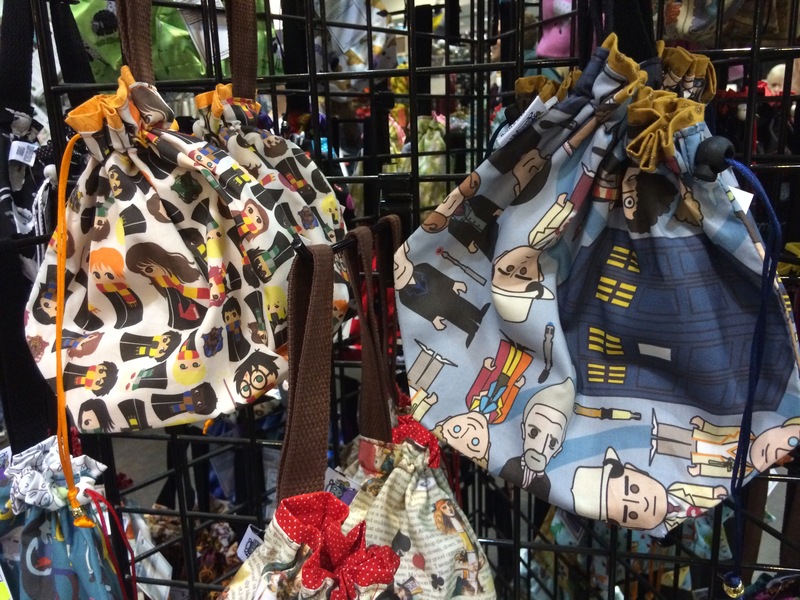 So I took another bag home. This is my favorite. You see, most kids used one or two triangles or circles, but this kid went all out! 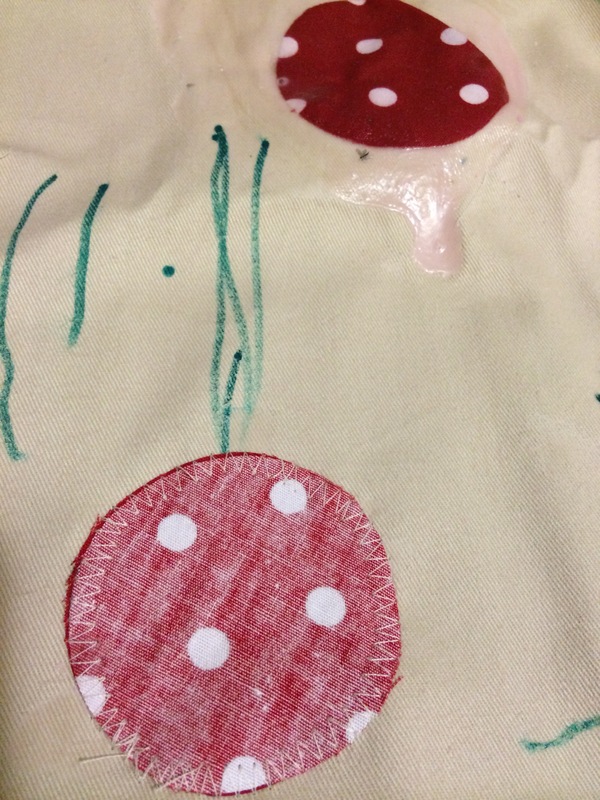 What a fun quilt square! 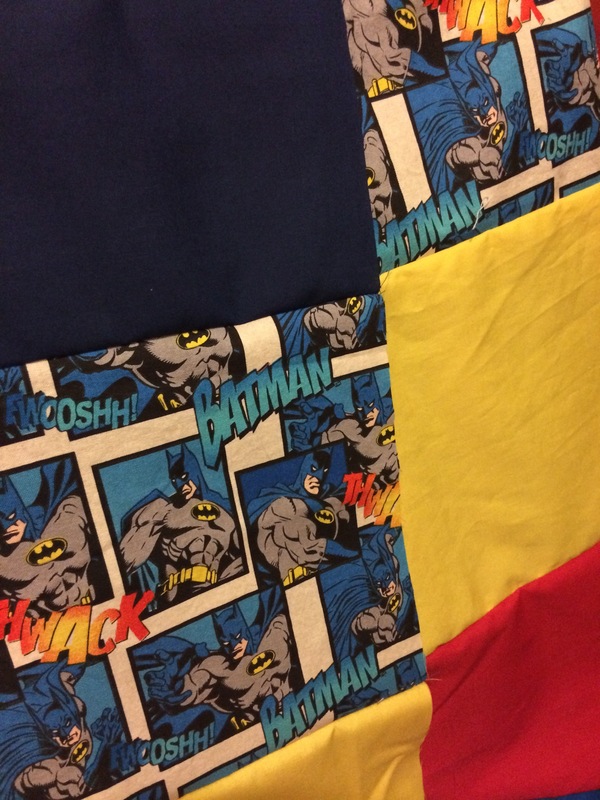 Of course, that set me on a good course to continue on the Wee Boy’s quilt, and I managed to sew all the squares into strips this evening. 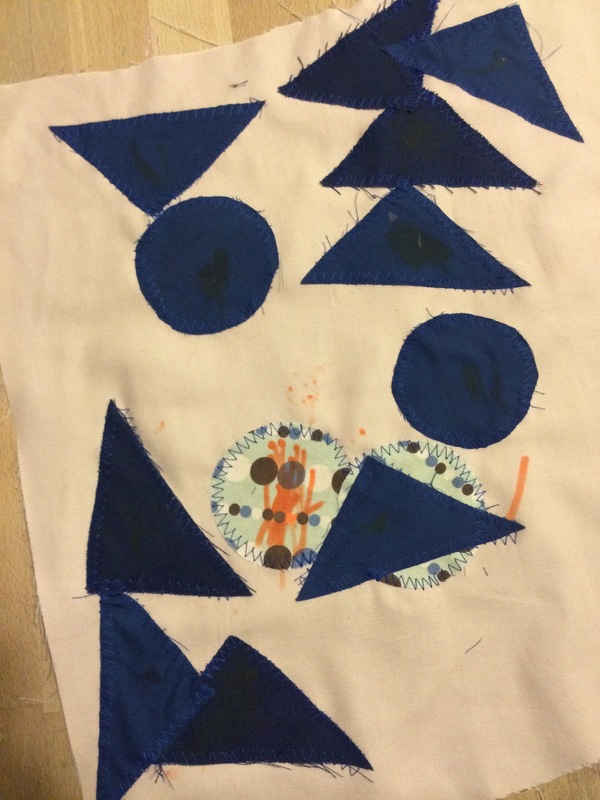 I did some volunteer sewing today, zigzagging appliqués onto the Wee Boy’s class quilt. 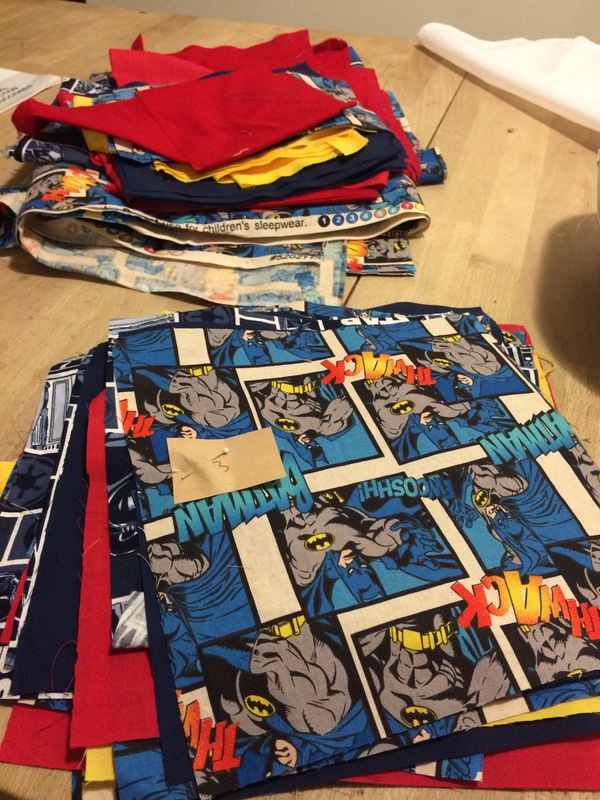 Having the sewing machine out, it was an easy transition to start sewing up the Wee Boy’s quilt, which has been cut and ready for a while now. Then I realized that most of it was leftover fabric and only a small portion is the quilt top. Ha! 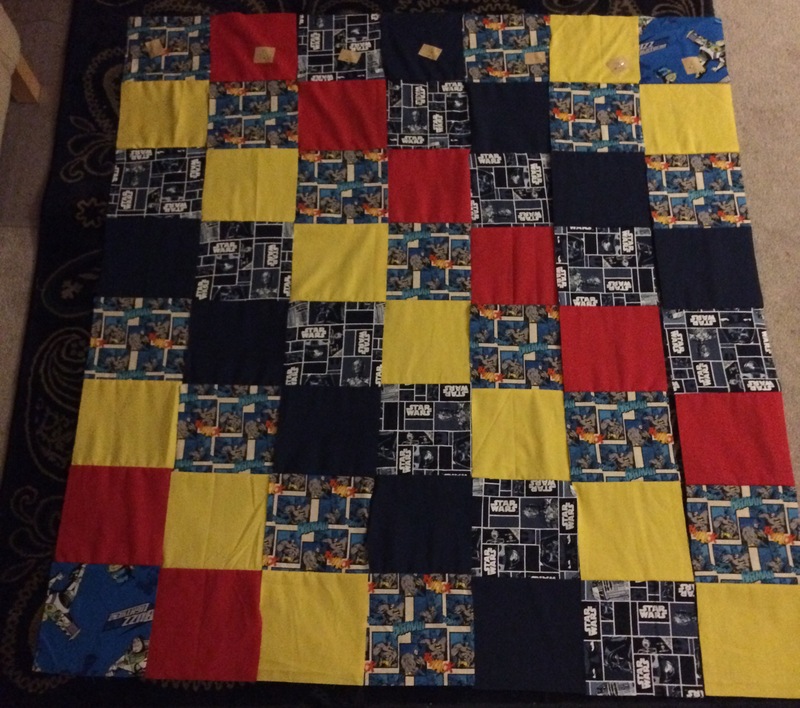 I pinned all the blocks into strips, and sewed up 2 1/2 strips before calling it quits. 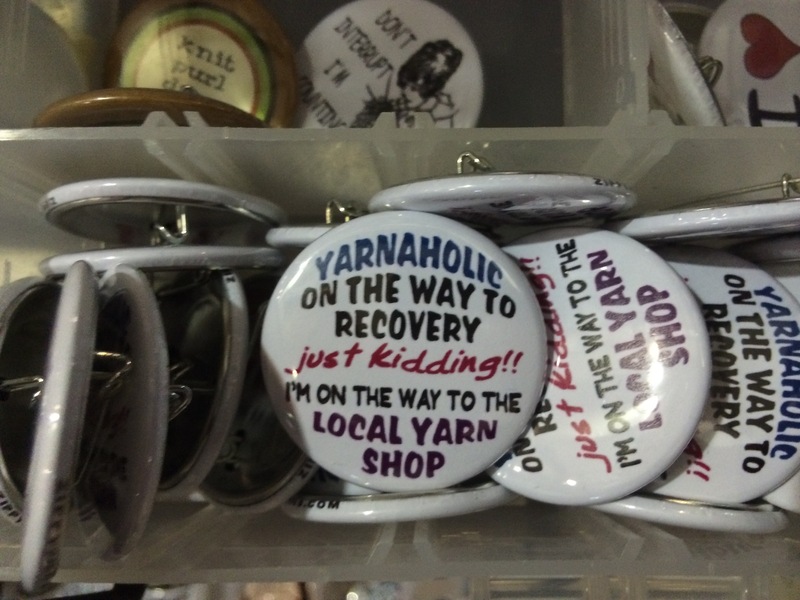 I hope I can keep my momentum up with this! 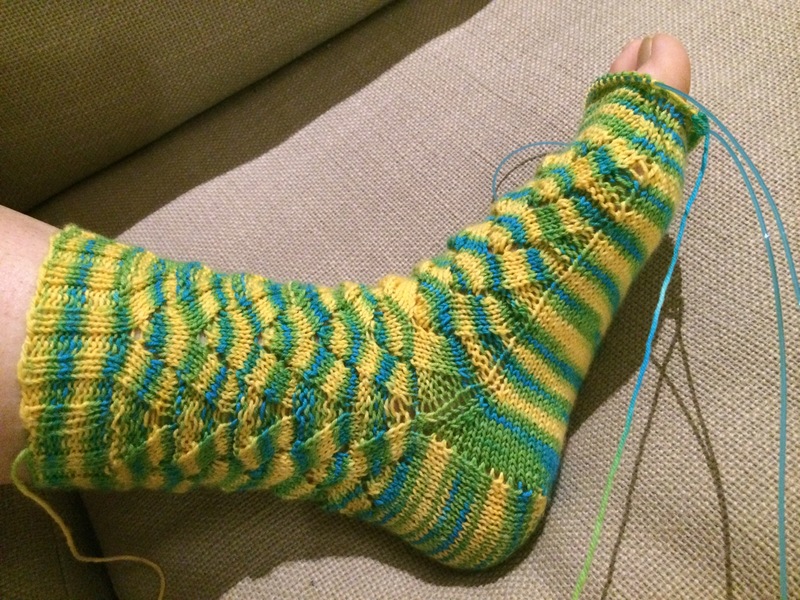 I’m still plugging away at my Monkey socks, and they’re going well, but the progress isn’t anything special to photograph. It’s really pretty, and the hiking can get your heart working but not so much that you’ll hurt yourself. 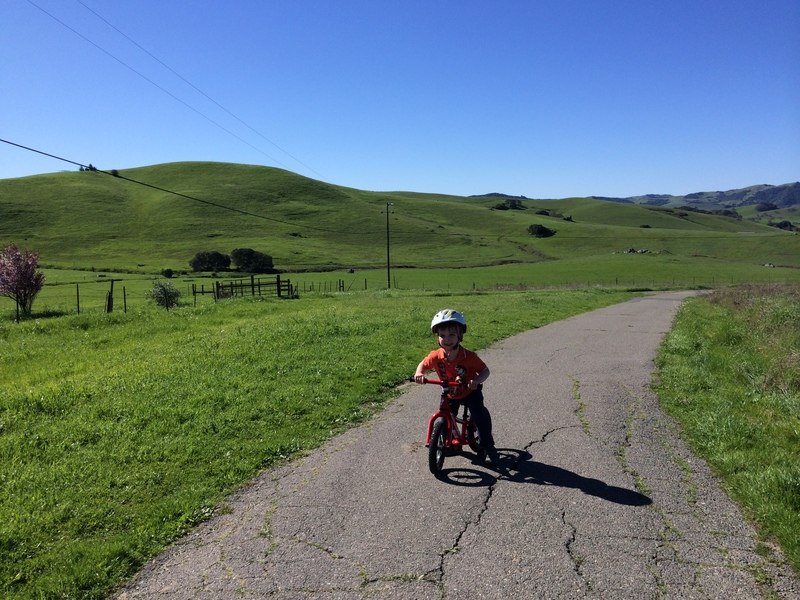 And the views of the rolling hills are beautiful. I’m looking forward to trying out some of the dirt trails as well. 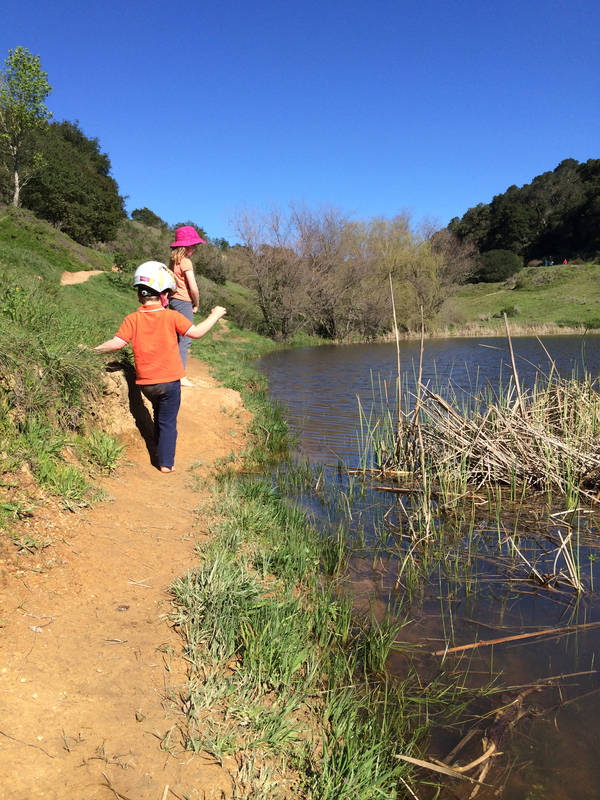 The fish pond was definitely the highlight of the outing! 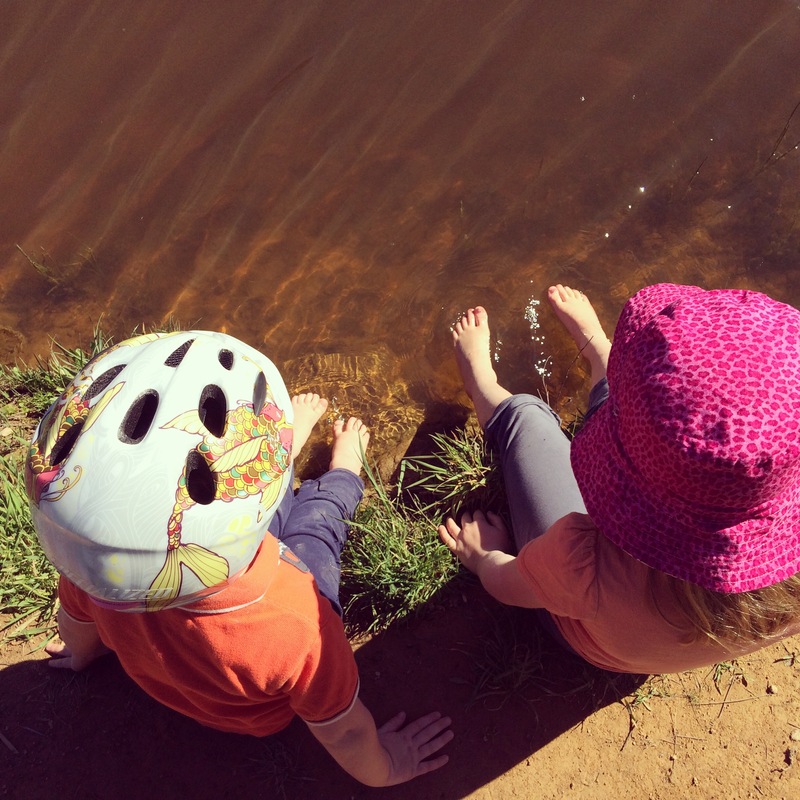 “dipping toes” means different things for different people…. 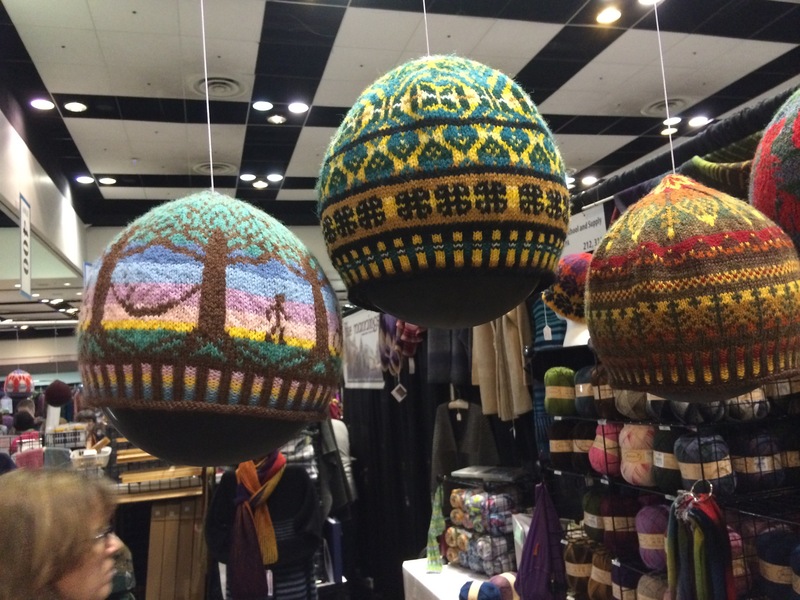 In other news, I’ve written a blog post for my knitting group in which I recap my friend’s and my excursion to Stitches West. 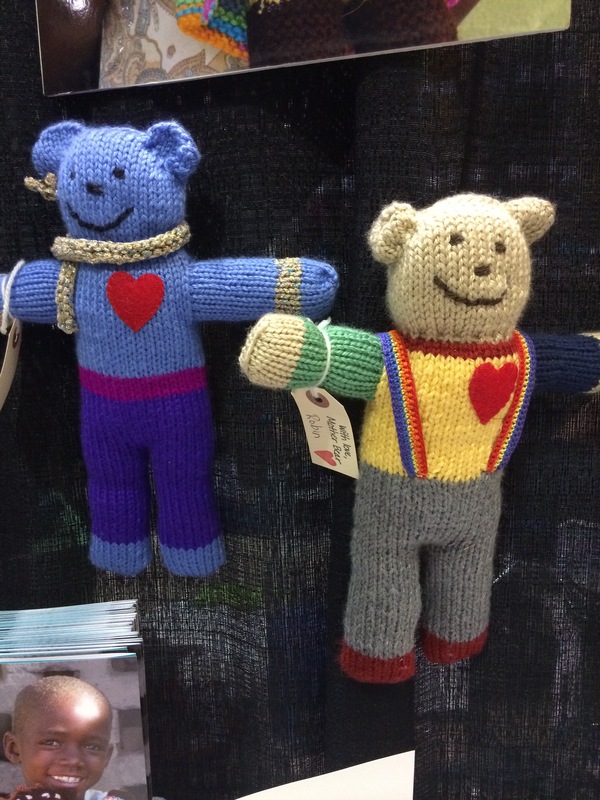 You’ve read my side, but my friend’s knitterati encounter is pretty special, I’d say! 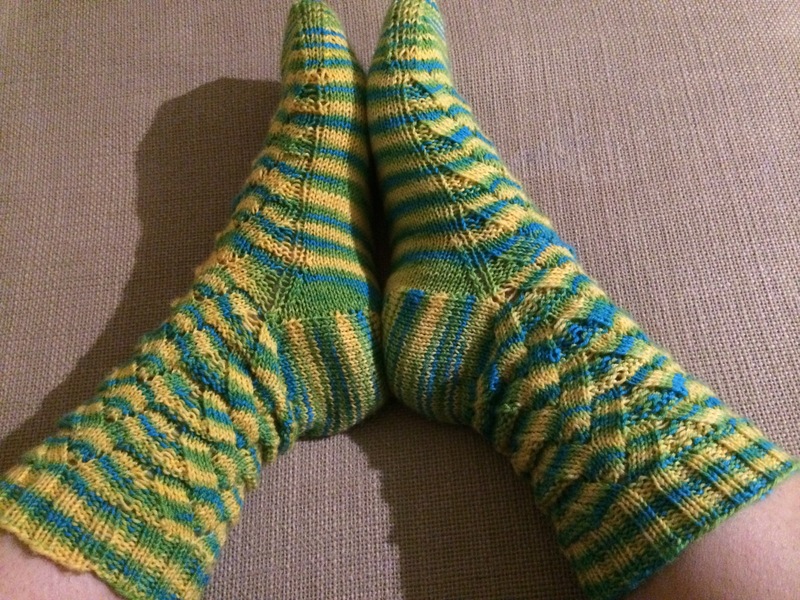 Hooray, I’m past the heels and gussets on my Monkey socks! 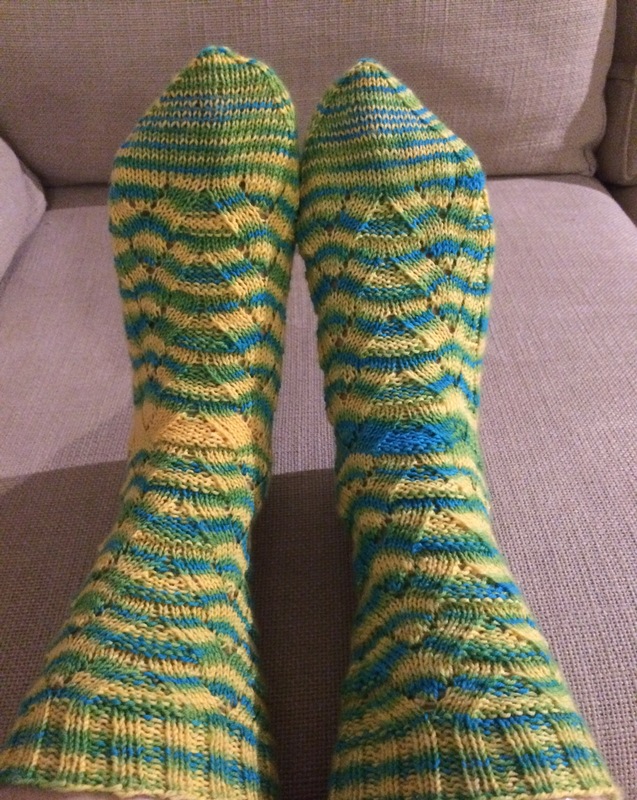 They’re going so fast now that the pattern is only on the top of the socks! 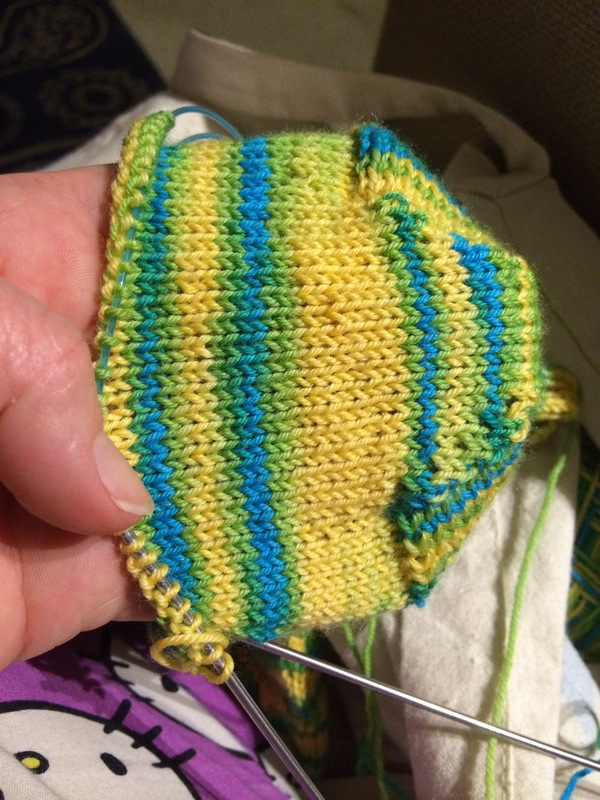 The soft striping on the soles makes me wish I’d done them completely in stockinette, but oh, well. I’ve put too much time into these to frog now!! 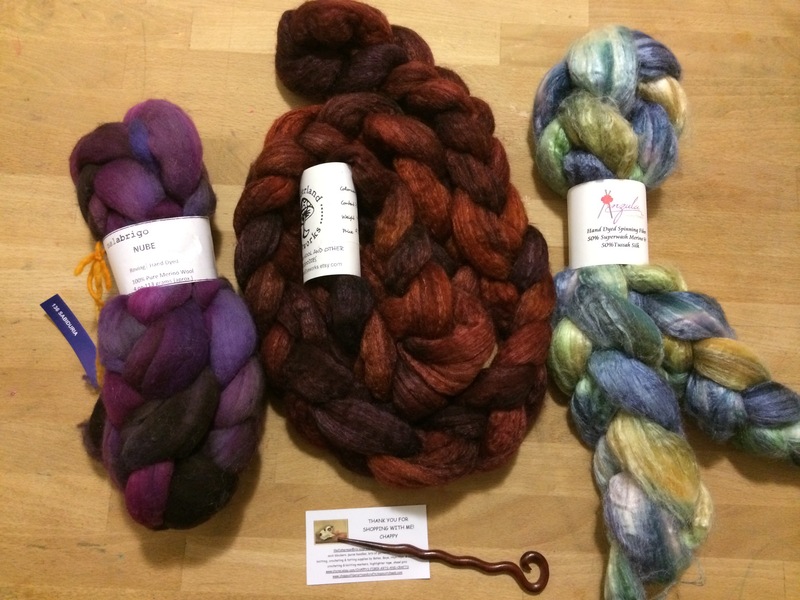 The main goal with this yarn was to NOT have it go back to the stash exchange for the 3rd? 4th? time. 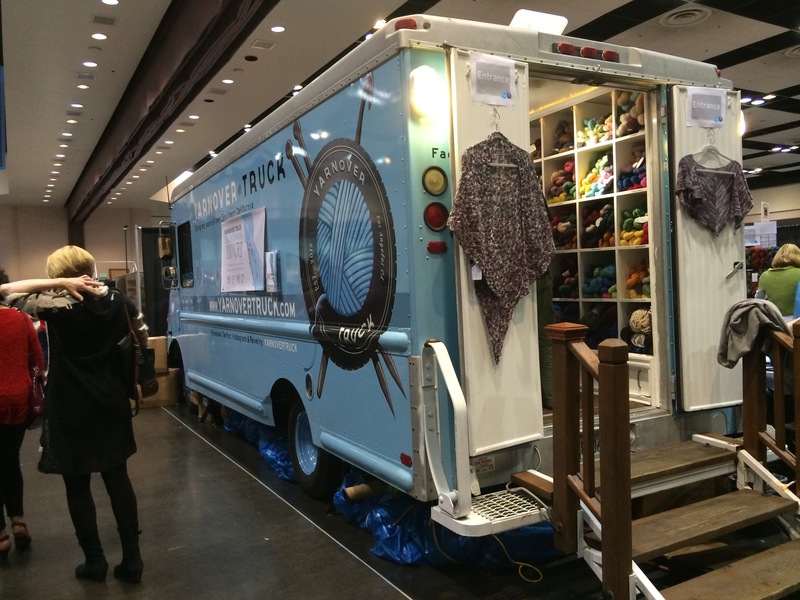 It was more than ready to get made into something!! 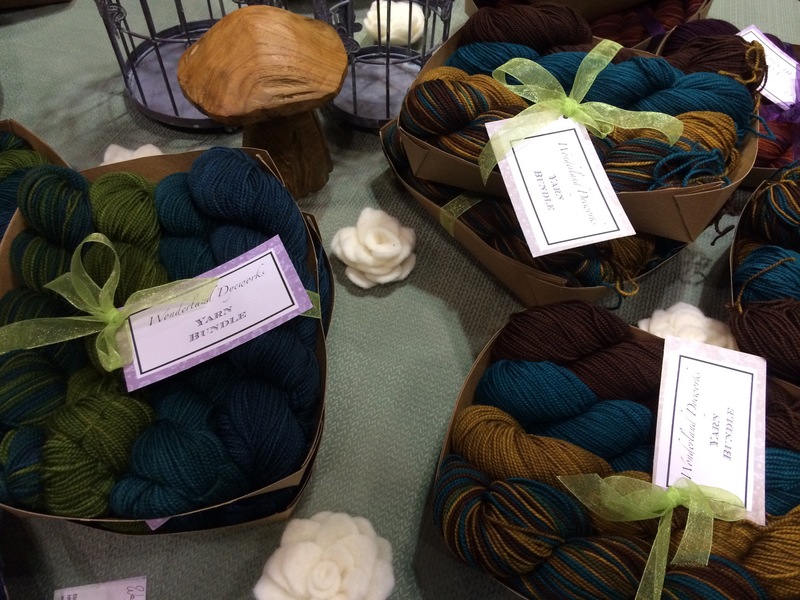 A fellow knitter and I drove down to Santa Clara today to attend Stitches West. 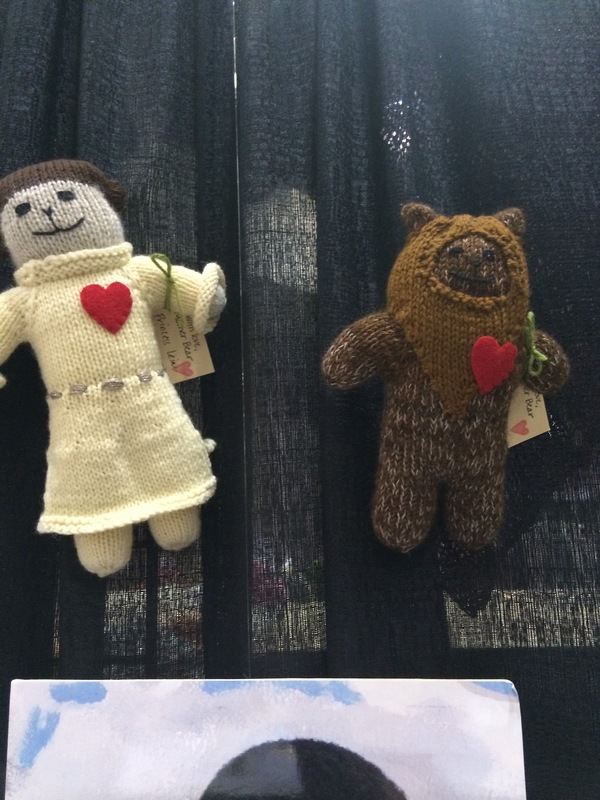 I spent the first few hours helping out in the Mother Bear Project booth. 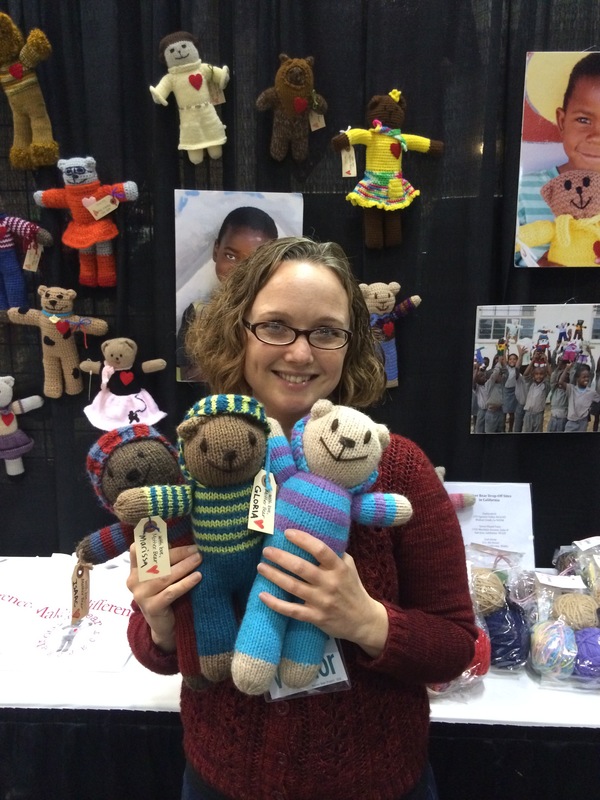 I helped out with selling kits and patterns, and telling people what the Mother Bear Project is all about. 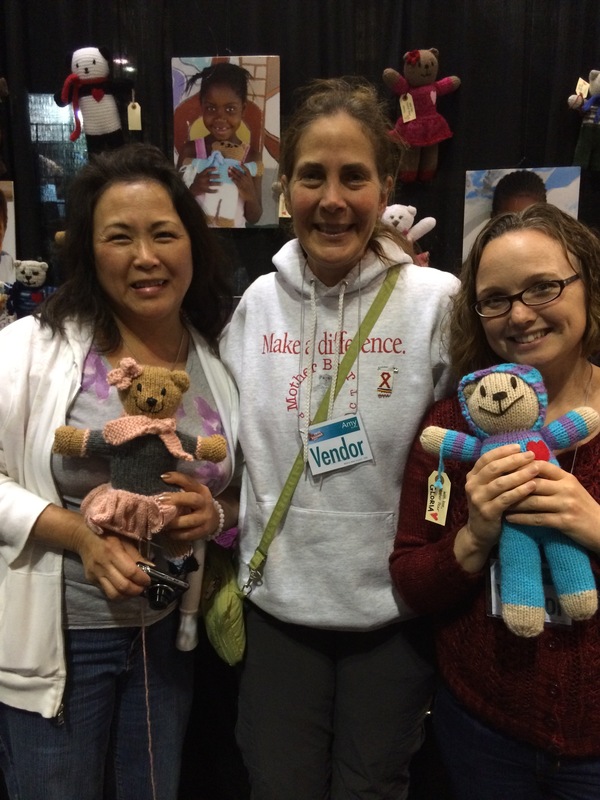 It was so fun to meet other bear knitters, and get other knitters/crocheters excited about making bears! 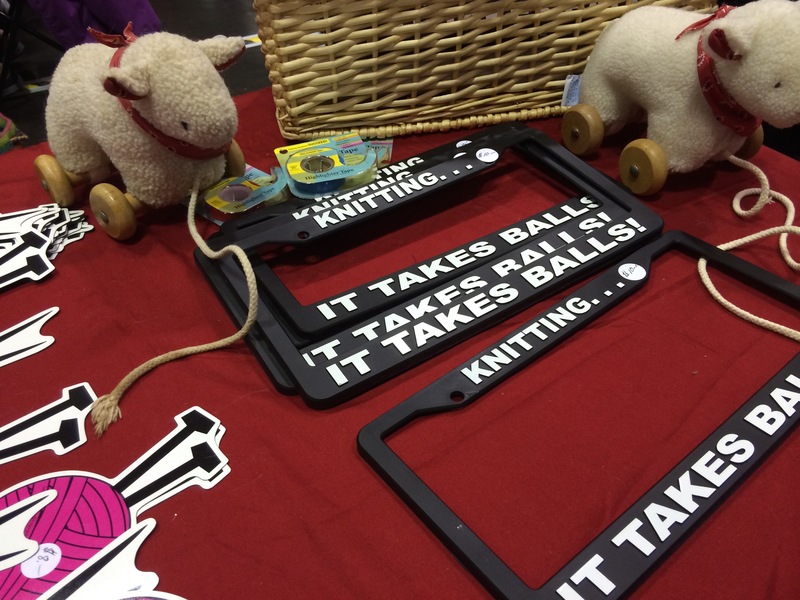 Incredibly, I only purchased two rovings and a shawl pin. I have so much more self control than I used to!!! 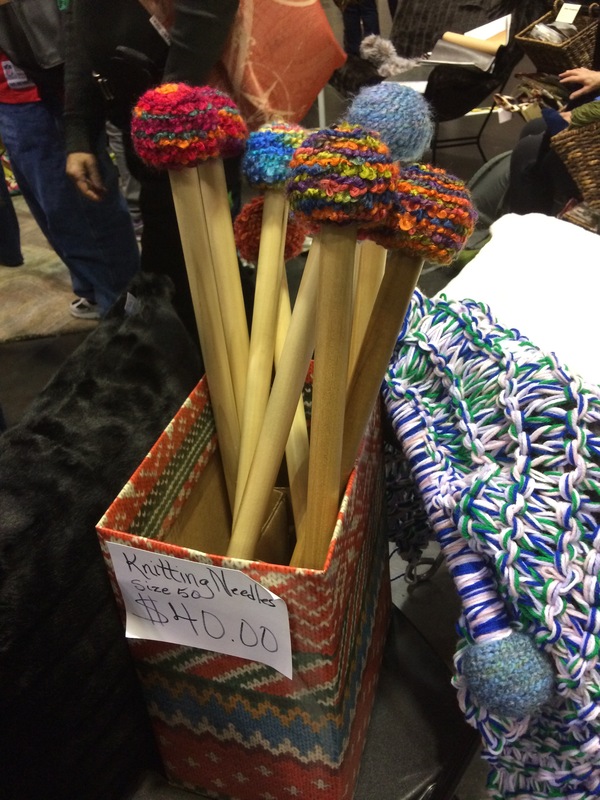 Oh, the Malabrigo roving was a freebie at the Malabrigo booth, lucky me!! !